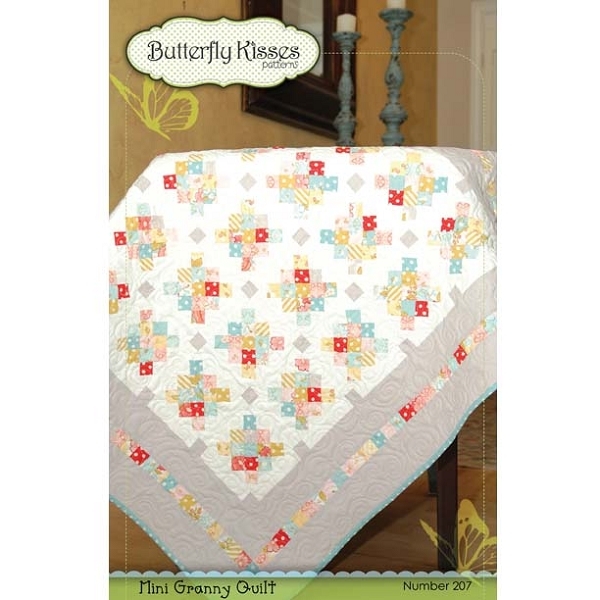 This mini granny is a fun block to make into a quilt or pillow. The quick piecing method used has easy to read instructions and simple diagrams explaining the quilt block assembly. The finished quilt size would work well for a precious baby or look lovely as the centerpiece for a table.